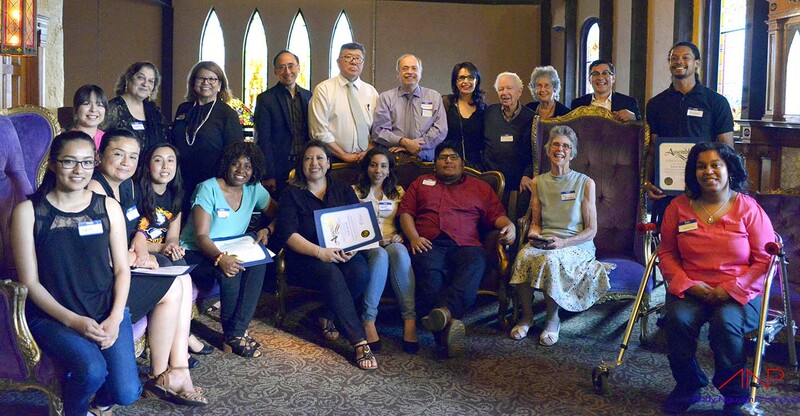 In 2016 we awarded fifteen(15) $2,000 scholarships to Santa Clara County community college students transferring to a four-year university with junior year status or to previous scholarship recipients. See photos from our 2016 scholarship fundraiser. Browse our 2016 scholarship fundraiser program (including a list of donors). The major event highlight was our keynote speaker the Hon. 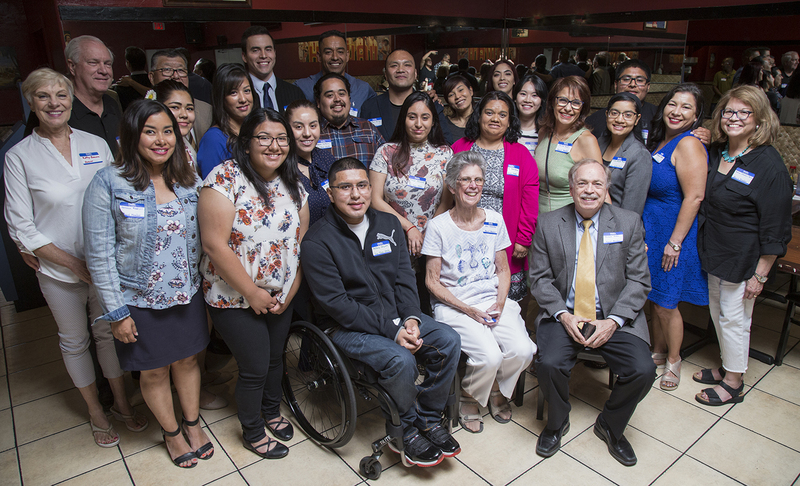 Jim Beall, CA State Senator and tireless community champion. Guests enjoyed authentic Persian appetizers and desserts provided by Malek’s Catering, San Jose and exciting live music from the Brian Ho Jazz Trio. In addition, a highlight of every year’s event is previewing the very best of contemporary Latino art, on display in the MACLA gallery. We are very grateful to the outstanding community leaders who are generous donors and who served on the 2016 Honorary Committee: Carmen & Alcario Castellano, Hon. Cindy Chavez, Hon. Kansen Chu, Judge La Doris Cordell (Ret. ), Hon. Dave Cortese & Hon. Pattie Cortese, Adam & Laura Escoto, Mary Elen & Michael Fox, Carol Garvey, Bishop Patrick McGrath, Steve Preminger, Wiggsy Sivertsen, and Hon. 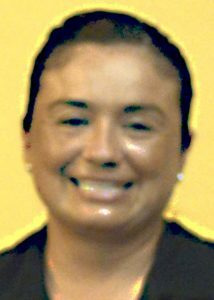 Susie Wilson. CARLA DAVILA grew up in Guatemala with her grandmother and migrated to the U.S. when she was 12 years old. She is a full time mother and decided to return to college after years of absence in order to give her family a better future. She is a first generation college student at San Jose State University, majoring in Business Administration with a minor in Sociology. She plans to go to grad school and obtain a Masters in order to become an Academic Counselor and support people facing similar struggles to hers. MARGARITA GUADALUPE JIMENEZ was born in Mexico and migrated to the U.S. as a child. 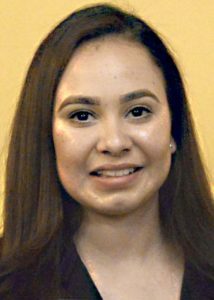 Margarita is an AB540 student, and despite the economic and family struggles she has faced, she has excelled as a student and community leader. She is entering her senior year at University of California Santa Cruz to complete her degree in Business Management Economics. Margarita’s career goal is to work in a non-profit and contribute to groups that support disadvantaged students. 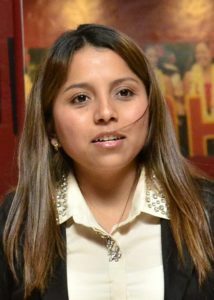 DANITZA MORANTE went from an A+ student in her native Peru to “doubting her academic abilities” as an undocumented student in San Jose, until she achieved a comparable level of achievement while graduating from West Valley College. Diana is completing a BA at UC Berkeley, where she is pursuing a degree in anthropology on her career path of helping migrant youth. ANDY NGUYEN was born in Vietnam and came to the United States at an early age. He faced many challenges as an immigrant regarding his health, financial and academic status. 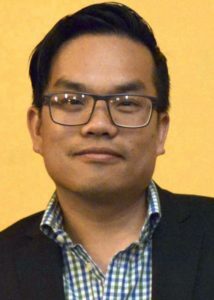 Andy went to San Jose City College (SJCC) where he served as director of activities for the associated student government. 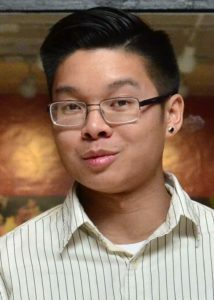 Andy attends San Jose State University, majoring in art with a concentration in photography and minoring in public relations. The net proceeds from Andy’s photography work are going to a charity for children’s educational resources in Vietnam. HY NGUYEN was born in San Jose, CA. He was raised by his parents and a grandmother who came to America with hopes of building a better life than they had in Vietnam. He is entering his senior year at UC Davis, where he is majoring in psychology and physiology. He enjoys sports, especially basketball, football and swimming. 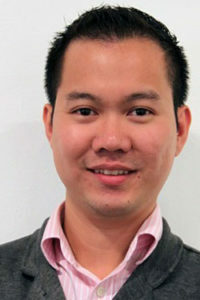 Hy enjoys working with students and has a passion for community service and human rights. This turned him away from the gang and drug violence of his neighborhood. Hy strives to assist students in their academic endeavors and give children opportunities he never had. THELMA VALADEZ grew up in a single parent household in Guanajato, Mexico. She began studying at San Jose High School at the age of 15 without understanding a word of English. Thelma graduated from San Jose City College with an A average after volunteering with the METAS program to encourage students to seek higher education. 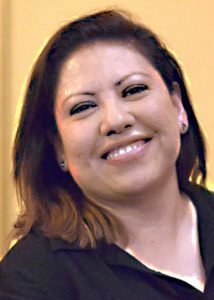 A transfer student to Santa Clara University, Thelma is pursuing a BA in Spanish Studies and MA in Education Counseling on her career path of becoming a bilingual elementary school teacher. NELIDA CEDANO Nelida was born in Mexico. She is married with children, and has finally been able to continue her education by attending Evergreen Valley College. She is transferring to San Jose State, where she plans to study to become a teacher. She has had much experience by volunteering in her children’s school. 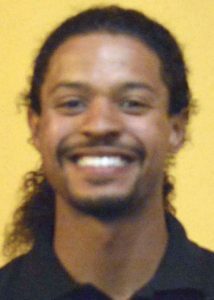 KENNY JACKSON Born in Palo Alto, Kenny has been attending Evergreen Valley College these past 6 years. Kenny has been involved in student government, serving on the community college council and the integrated planning committee. He has volunteered in mentorships in both Cuba and Brazil, providing school supplies and clothing needed to promote academic success for students in favelas. Kenny is transferring to UC Merced where he plans to major in psychology. THAO LE Thao was born in Fremont, California. She attended De Anza college. Thao was involved with the Associated Student Body Senate and was the Lead Organizer for De Anza Students for Bernie Sanders. She has also volunteered with the Renters’ Rights Coalition of Silicon Valley. 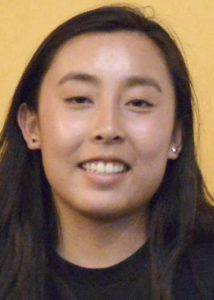 Thao will attend UC Santa Cruz where she plans to prepare to go to law school. EDITH MARTINEZ Edith was born in Mexico. She has attended Evergreen Valley College for the past three years. 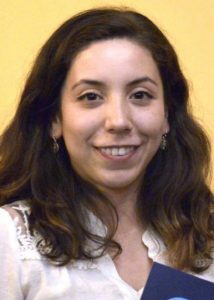 In student activities,Edith was secretary of the Society of Advancing Chicanos and Native Americans in science and a member of the Enlace Honor Society. 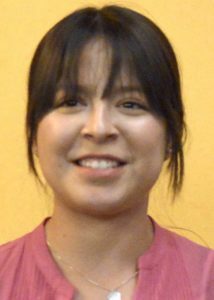 Edith is an engineering intern with Los Gatos Parks and Public Works. Edith will be attending Cal Poly San Luis Obispo where she plans to obtain a degree in civil engineering and then work towards a Masters in environmental engineering. ABIBAT OSHIOBUGIE-SULEIMAN Abibat was born in Nigeria. She has attended San Jose City College for the last three years. She was President of the Associated Student Government. She was student speaker at SJCC spring commencement (2015) and International Student Program Ambassador at SJCC from spring 2013 to spring 2016. Abibat is a volunteer in the emergency department at Kaiser Hospital and has been a shift leader for the patient services department since 2014. She was an intern at the Stanford summer pre-med intern ship in 2015. 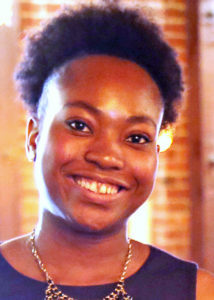 She has been accepted into a research internship for the summer of 2016 at UCSF. She will be attending UC Davis in the fall where she will pursue her plans to become a doctor. 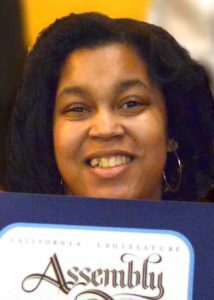 NATALIE SMITH Natalie was born in San Jose and went to James Lick High School. She has attended san Jose City College for the past four years. Natalie was involved with an organization called Girls for a Change. Natalie wanted to bring a voice to women and especially to women with disabilities like herself. She also helped city council member Nora Campos to fight to keep San Jose Public Library open on Saturdays. They were successful. Natalie will attend San Jose State with a major in justice studies. 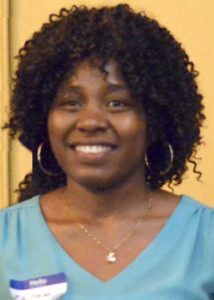 Her goal is to become a district attorney at the state level, while being a source of encouragement to people with disabilities. ZAINAB YUSUF Zainab was born in Sierra Leone, where she grew up in an orphanage. She is the first in her family to have the opportunity to attend school and also being physically challenged, Zainab had the motivation to seek higher education. After her senior year at Hermana Gmeiner International School with a 3.9 GPA, she decided to play the diversity lottery, which she won to come to the United States. 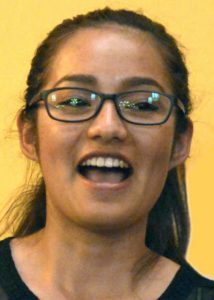 She attended San Jose City College for three years and will now attend San Jose State, where she plans to get a degree in social work and pursue a career as a child welfare social worker. She has a vision of one day being able to open an orphanage.